The 'Terminator' star – who split from wife Maria Shriver after 25 years last month, shortly before it was publicly revealed he fathered a child named Joseph, now 13, with the family's former housekeeper Mildred 'Patty' Baena – was "idolised" by the boy, according to the teenager's cousin. Jorge Pena said: "Joe would idolise Arnold - we all idolised him. It was a cool thing for us. Joe used to watch 'Terminator 2' all the time, he really loved that movie." But ex-marine Jorge revealed the former Governor of California did not appear to favour his child when they were growing up, despite spending a lot of time with the family, many of whom worked for him. He added to the Daily Star Sunday newspaper: "They have always been like family to us. Arnold was like an uncle to us, he was really cool with everybody. He always loved Joseph but it didn’t seem he got extra attention. 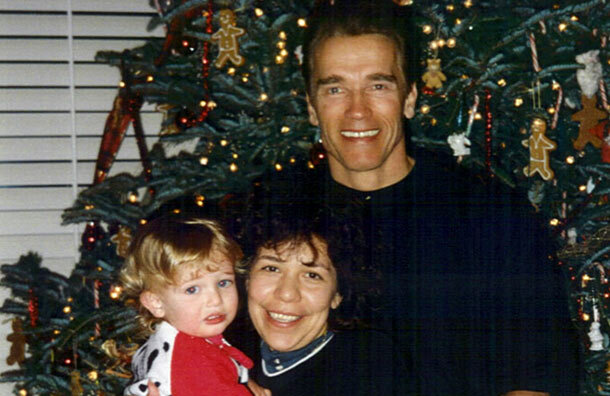 "My aunt and my mum both got to travel with Arnold and the family when they went away on vacations and once in a while they took Joe and Roger [Mildred's ex-husband] because they both got on with Arnold and Maria’s kids so well. "We would all joke to Joe ‘Arnold’s your dad’ because he just looks so much like him. Joe would just laugh it off." Arnold has reportedly begged Maria - who has four children with the actor, Katherine, 21, Christina, 19, Patrick, 17, and Christopher, 13 - to save their marriage.